Located in the heart of the city on the banks of the Douro River, Alfândega Porto Congress Centre offers a unique combination of tradition and modernity. Rising up from the Douro River like a pop-up book at sunset, the city of Porto tells stories and seduces its visitors with its appealing climate, gastronomy, architecture, security and the charismatic essence of its inhabitants. The city was also classified as a World Heritage Site by UNESCO in 1996. Nowadays, Porto stands out as one of the best European destinations for leisure and business. In 2017, the city received the European Best Destination award from European Consumers Choice, a distinction it also received in 2012 and 2014. This recognition resulted in increased prestige among the national and international public. Porto and the northern region of Portugal generally offer a wide range of facilities and accommodation options, which combine the tradition of charming, historical hotels with the modern style of the most widely recognised international hotel chains. Moreover, in Porto you will be able to find several restaurants boasting Michelin stars. Guests arriving in this esteemed region are encouraged to visit one of Porto’s famous wine cellars – those who choose not to do so will miss out on one of the most fascinating activities in the city, and a great point of interest. This product is a symbol of Porto; it is harmonised with the gastronomy of the northern region, and has been exported worldwide since the 17th century. Whether for business or pleasure, there is an endless stream of possibilities in this cosy – but also cosmopolitan – city. This year, Airports Council International named Porto’s Francisco Sá Carneiro Airport the Best Airport in Europe in the category of airports serving up to five million passengers annually. The airport is located only a 15-minute drive away from Alfândega Porto Congress Centre and offers direct routes to cities all across the world. The airport’s proximity to both the conference centre and the heart of the city itself means that Alfândega Porto is ideally connected to a huge number of global business hubs. Additionally, several of the hotels in the congress centre’s immediate vicinity have been celebrated internationally, while many of the city’s finest sights are also located within walking distance of the venue. These include the Dom Luís I Bridge, which was designed by Théophile Seyrig – a pupil of Gustave Eiffel – and is located near both Alfândega Porto and the Clérigos Tower, a structure that offers magnificent panoramic views of the city. In the current social and political climate, and considering the exponential growth of regional tourism throughout Europe, it is also important to highlight the security and stability that can be felt in Portugal. This sense of safety gives visitors added comfort when they choose Porto as a holiday or business destination. Alfândega Porto Congress Centre, in cooperation with its partners, provides a wide range of services with the capacity to accommodate an array of high-demand situations. These facilities ensure that the most effective means and competitive solutions are provided to clients. The centre is the largest national leisure and business tourism venue in Portugal, and is further supported by its location near the mouth of the Douro. This prime position allows the space to be the stage for many outdoor events, such as the Red Bull Air Race and Extreme Sailing Series, which annually attract thousands of people to the banks of the river. Porto seduces its visitors with its appealing climate, gastronomy, architecture, security and the charismatic essence of its inhabitants. It stands out as one of the best European destinations for leisure and business. Since the Ibero-American Summit was held in Porto in October 1998 – an event that brought the presidents and prime ministers of various Latin American countries to Portugal – the congress centre’s reputation has been steadily growing, which is most notable through its increasing visitor numbers. Alfândega Porto offers a unique and multipurpose space for holding business, commercial, scientific, cultural, social and political events. It is also a partner of some of the most influential MICE institutions worldwide, such as the International Congress and Convention Association and the Association International des Palais de Congres. 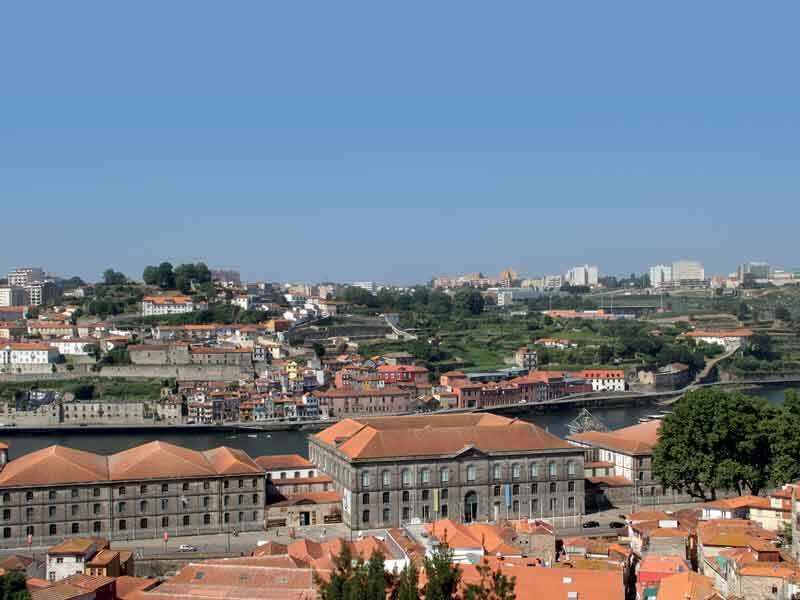 Alfândega Porto is also member of the Porto Convention Bureau, which contributes significantly to the growth of the meetings industry in the Porto region and the whole of the north of Portugal. Architecturally speaking, the 150-year-old building was rehabilitated by Eduardo Souto de Moura – winner of the 2011 Pritzker Architecture Prize – in the early 1990s. Through this ambitious project, Souto de Moura increased his own global standing while restoring this unique architectural icon. This emblematic space now combines modernity with the building’s unique history, providing a renewed set of services that contribute to the viability of the city’s cultural offering. This congress centre has a wide range of high-quality, adaptable spaces for conferences, exhibitions, summits, congresses, product presentations, workshops, cocktails and other similar events. There are 24 multifunctional spaces spread across an area of approximately 50,000sq m, along with translation booths, two private parking areas in the east wing and west wing that can accommodate approximately 400 vehicles, and a shipping dock. The centre also offers free access to its three permanent exhibitions – its cultural and museological side. The centre’s infrastructure, particularly the elevators installed across all floors of the building, allows easy access for individuals with reduced mobility. The multi-functional building also has its own cafeteria called Alfândega Café & Bistro, which has also been renovated recently. In terms of technology, there is Wi-Fi coverage throughout the centre. To ensure that it is equipped to host more than 300 large-scale events every year, Alfândega Porto focuses on remaining up-to-date with the latest demands and developments within the international MICE sector. These factors make this congress centre even more attractive to international visitors. For a personalised and customer-focused follow up at every stage of the event, the congress centre boasts a professional and experienced team that combines knowledge and industry know-how with good practices in the field. Human capital is essential for the success of Alfândega Porto’s events.